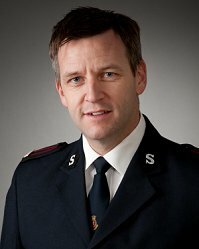 One of the finest new composing voices for Salvation Army bands has just launched a new web site offering downloadable music for brass. Roger Trigg Music (www.rogertriggmusic.com) is the web site for music written by Roger Trigg, former corps bandmaster (Preston, Australia) and member of the both the Melbourne and New York Staff Bands. Trigg’s music for brass band has been published in the UK, USA and Australia. This is the first opportunity to obtain new and, until now, otherwise unpublished music by Roger Trigg. The web site also allows people to follow news, watch video performances, listen to audio samples, view score samples and much more. Recent popular works by Trigg include the large-scale Atonement as performed and recorded by the Melbourne Staff Band at the ISB120 celebrations in June 2011; Battle Ready, performed and recorded by both the Melbourne Staff Band and the Enfield Citadel Band; and the trombone solo Rejoice, which has been performed by Brett Baker and Andrew Justice, and recorded by the Melbourne Staff Band featuring Paul Smith. Other artists who have recorded his work include the New York Staff Band and the all-female trombone quartet Bones Apart. All sheet music at Roger Trigg Music is available for instant download in PDF format. This article was posted in News and tagged publisher, Roger Trigg, Roger Trigg Music on 8 April 2012 .